This is my first full collection, published by Wordsmithery. This is a book of nature poems, but, in common with Virgil’s eclogues, but describes not a bucolic idyll, not just a green thought in a green shade, but expresses many concerns for the state of the world, contrasting a pastoral idyll with the harsh reality of country life. We all carry this idyll in our hearts, and I find I still do, even in the midst of complete disillusion. I find I cannot write about the beauty of the world, my greatest solace, without confronting the reality of its destruction with all the rage and sorrow it brings. The book is divided into three sections with the loose themes of Innocence, Anger, and Sadness. These poems do not set out to be objective descriptions of nature or place. They are about my interaction with nature, and about my own nature. I have always been in love with the natural world, and feel so much part of it that these poems are where you will find me. I love the salty relish and brio of this poem. The voice of Red Rebecca is very exuberant and funny. And there’s a hint of archaic authenticity about it, as though it is a translation of an old Gaelic song. 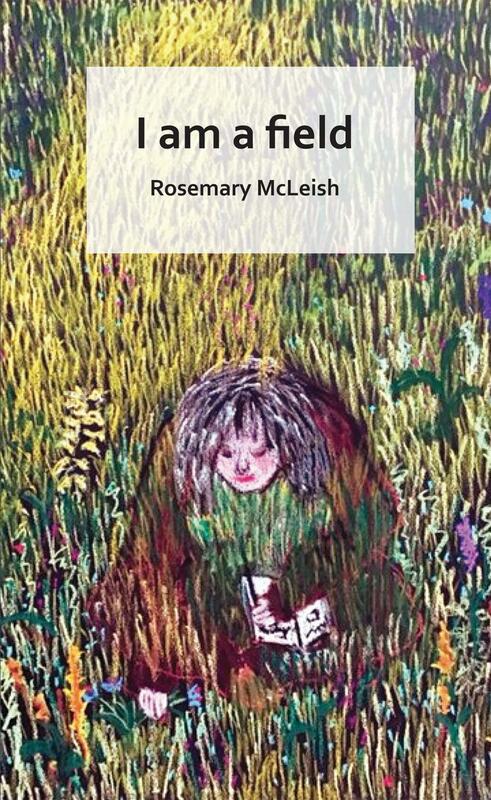 To have a first full collection from poet and artist Rosemary McLeish is an absolute pleasure. I have enjoyed and anthologised her work over many years, so thought I knew what to look forward to but was taken by delighted surprise to discover a whole new aspect of her poetry. Darkly humorous, taking fear by the throat, telling it how it is – that is the expectation and she never disappoints. But here, in the first and longest part of this collection especially, is a different voice altogether. These are poems which contain a life, and McLeish is generously open about personal experiences. However she newly reveals herself as a poet who writes with lyrical beauty about a lifetime’s deep connection with nature. Her other creative life as a visual artist is everywhere evident in these love poems to plants, flowers, the countryside. Her use of colour, and an artist’s eye for image, make them heart-stoppingly present as well as evocative of the past. McLeish takes us on a voyage of discovery around the UK, Europe and America, but also on a metaphysical exploration of place and time. The mood of the second and third parts of the book changes, and we are asked to take a look at the obverse – in particular the grim prospect of a world and its species enduring climate change and the possibility of extinction. Here the powerful and fearless McLeish voice is manifest once more. But she manages to maintain her lyrical touch throughout, so that the collection as a whole remains cohesive and utterly compelling.